If you do a Google search on the word “Yemen”, you probably will get news headlines about Drone strikes, Al-Qaeda attacks, kidnappings or killings. Well, there is more to Yemen than all that violence you read about in the media. Yemen is a land of history, heritage and humanity, yet the focus lately has shifted away from all that. Here are some of Yemen's many talented youth whom you probably haven't heard of. Some of them are film directors who have been making a mark in the film industry, a videographer with a talented eye to capture beauty, a photographer challenging social norms and stereotypes, a talented artist with a message, and a musician impressively playing an old oriental instrument with new western tunes. 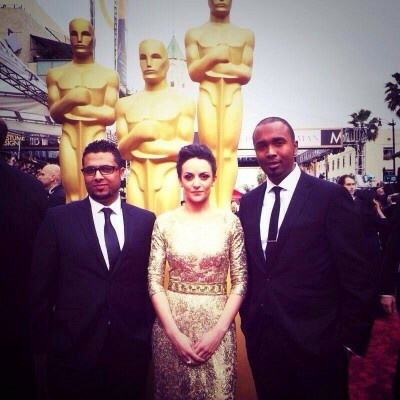 Sarah is a 29-year-old Yemeni-Scottish director whose film documented the bloodiest day of Yemen’s revolution, March 18, 2011, known as the Friday of Karamah, or Friday of Dignity, which led her along with two other Yemeni film makers who worked on the film Ameen Al Gaberi and Abdul Rahman Hussain to the Oscars. She was the first Yemeni ever and one of few Arabs to reach that stage. Her film Karamah Has No Walls (Dignity Has No Walls) was nominated in the short documentaries category at the 2014 Annual Academy Film Awards. Sara directed another film, “The Mulberry House”, a personal memoir of her family and the revolution within her home echoing the upheavals beyond its walls, during the Arab Spring. Her second documentary film was screened at many film festivals, including the International Documentary Film Festival and Human Rights Watch Film Festival. She is currently working in her third documentary. Another film by Yemeni director Mohammed Al-Asbahi was a finalist in the TropFest Arabia 2013. “Adults Only” is a tragic story about child brides in Yemen. However, the first feature film ever to come out of Yemen, and the first-ever Yemeni film to be screened at Cannes Festival was in 2005, by Yemeni-British film director, Bader Ben Hirsi, entitled “A New Day in Old Sanaa'a”.The 90-minute romantic drama, shows a real conflict between modern values and old ones in Yemen's conservative Islamic society. This talented film maker, known among his friends as Afro, is the backbone of the SupportYemen media campaign that highlights social and political issues in Yemen. 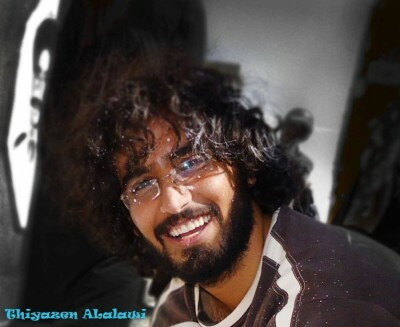 Abdulrahman co-directed and co-wrote “The Gift Maker”, co-directed “Karamah Has No Walls” and he also directed and edited all the videos of SupportYemen which can be seen here. Is a multi-talented Yemeni film and photography director who contributed to many Yemeni produced films and documentaries, including “Karamah Has No Walls”. He is also Yemen's best photographer to capture the beauty of its unique landscape. His web page offers a glimpse to some of his outstanding and widely shared photography work. Ziryab Alghabri is a talented videographer, who co-directed and produced films such as the “The Gift Maker“, winner of the British Council's Zoom Competition. He lately produced this amazing trailer of Socotra Island, a part of a project related to promote this amazing island in Yemen. Addulrahman Jaber is a visual artist, designer and photographer with a creative mind and a passion to create world brands. His website sheds light on his multi-talent and the work that he contributed to. 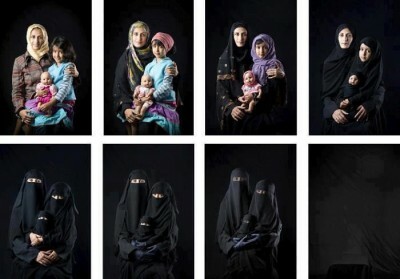 Boushra Almutawakel is a freelance photographer and a mother of four. She was honoured in 1999 as the first Yemeni Woman Photographer, well known for her bold Hijab series portraits. Her works challenge the social norms she was brought up with, as well as stereotypical Western views about women from the Middle East. Twenty six-year-old Murad Subay is a talented Yemeni graffiti artist, a.k.a Yemen's Banksy, who uses his art to peacefully call for action by highlighting political and social messages on the walls of the city. The young artist started his first campaign “Color Your Street's Wall” in March 2012, which was the first of its kind in Yemen. In September 2012 he painted the faces of the forcibly disappeared in Sana'a, Ibb, Taiz and Hodeida, in the 2nd campaign called “The Walls Remember Their Faces”. He started another street campaign called “12 Hours” on July 4, 2013, painting the walls of the capital Sanaa with a different theme for 12 hours in 12 successive months. His campaigns range from state executed kidnappings, gun control, sectarianism to anti-drones. 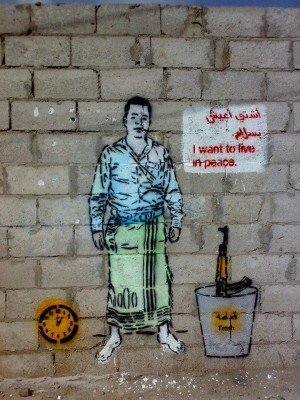 A graffiti by Murad Subay demanding a weapon-free peaceful life. Al-Arabiya interviewed Subay in 2012 while working on his first campaign, in this video which shows his murals. Subay has been chosen to receive the “Art For Peace Award” for the year 2014, which is given annually to artists around the world who were committed to spread the culture of peace through their art, by the Italian Foundation “Veronesi”. He will be receiving the Award in Milan, Italy, on November 14, at the 6th International Conference for Peace. Yemeni musician Ahmed Alshaiba is a talented musician who demonstrates his skills once again with a version of Pirates of the Caribbean played on the Middle eastern string instrument, the oud. His first sensational hit “Smooth Criminal” was widely shared on social media. This is only a small list of the many multi-talented youth that Yemen is rich with and is proud to have. As you can see Yemen's got talent! Oh my ! Whoever knew ! Disappointed I didn’t know since I’m an honorary Yemeni citizen. Beautiful artists, especially the music! Entranced by the video and music on Socotra Island,, this place beats a million islands I’ve seen being used for meditation and other retreats by companies and individuals , even in the Far East where they specialize in these. It is truly serene and spiritual, I pray one day it will be a good source of national income through tourist spiritual retreats. Thank you for your comment and for your prayers. We all pray that Yemen will have peace again and soon. So the world SHOULD KNOW these Yemeni musicians, photographers, videographers, directors. Whatever happened to real Yemeni talent like scientists, doctors, market influencers, young leaders, and such. No, its more important to prop up people in the media industry instead. What a joke. Thank you for reading the post which was originally entitled “Yemen’s got Talent” I wrote it mainly focusing on the artistic talent of Yemenis. Of course Yemen has many more talented people and with various talents and this post does not deny that in any way nor does it say that they are less important. Everyone is entitled to his opinion or the way they want to interpret things.